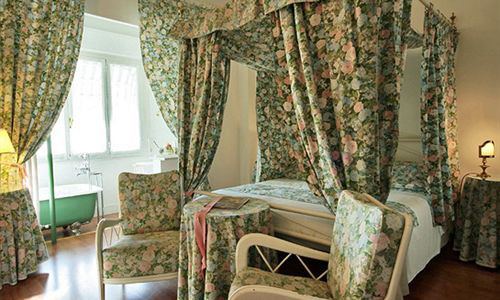 Since 1948 the Hotel Eveline Portosole has been the perfect hotel for couples and romantic holidays. 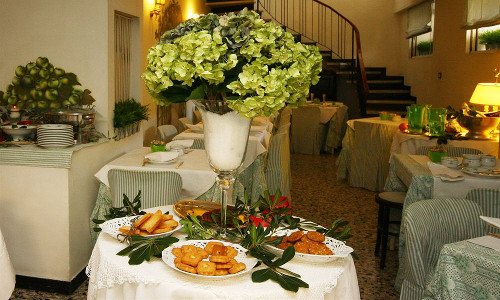 The hotel offers all the facilities you need to relax and be completely pampered in San Remo. 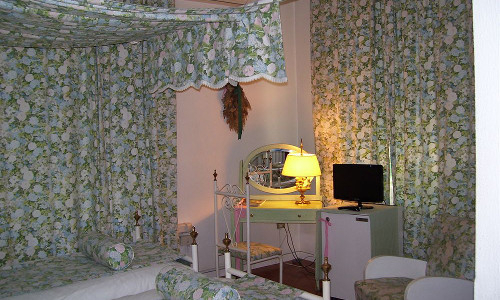 The rooms are decorated in an original and romantic style. 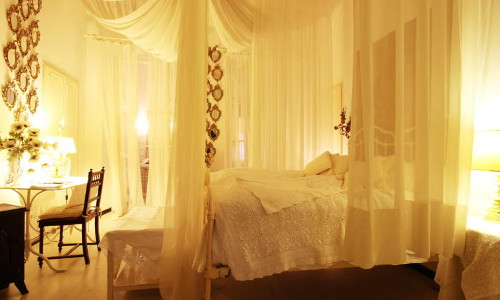 The hotel has 22 unique rooms, enhanced by being named after different Flowers and Winds, and 5 original Hammam and Japanese rooms. 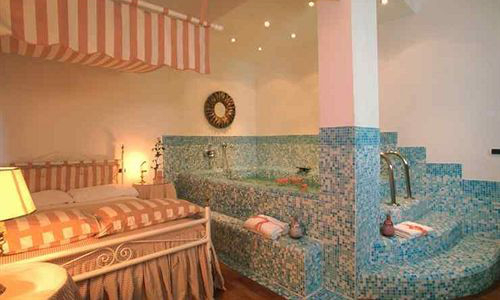 All the rooms have air-conditioning, mini-bar and satellite TV, and in addition there is a private swimming pool and a balcony that faces the garden. Public parking is free in this zone; alternatively there is private parking available upon payment. Children between 2 and 13 years of age can stay at economical rates; there is also a discount for children under the age of 2. 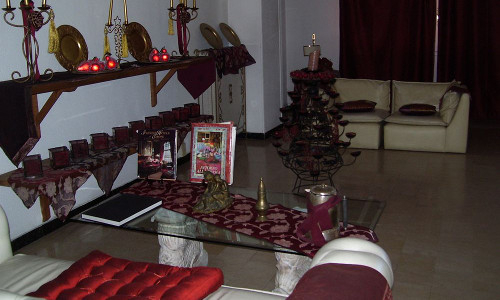 A special attraction is the elegant breakfast served by candlelight in the “Green Room”. The hotel admits pets but there may be a supplementary charge for this. 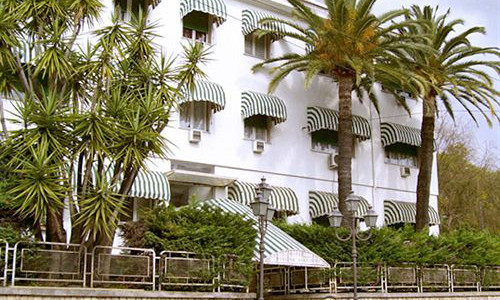 Surrounded by a garden, the hotel is situated opposite the Portosole marina, on the coast of the Ligurian Sea. The hotel is near Villa Nobel, residence of the famous Swedish scientist Alfred Nobel who died there in 1896, and Villa Ormond, complete with its original garden, where plants that come from all over the world can be seen. Autostrada A10, exit Arma di Taggia – Sanremo Est. You proceed quickly, thanks to the Aurelia Bis, second exit “San Martino” for the center. Eveline Portosole is only 200 meters from the main road leading to the center, and a few steps from the new railway station.